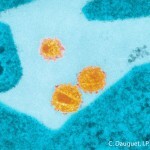 Our research concerns the field of HIV pathogenesis, with an emphasis on the mechanisms that perturb CD4+ T cell responses and lead to the development of AIDS. The team currently focuses on the study of rare patients who spontaneously control of HIV replication in the absence of antiretroviral therapy. Such patients, called HIV Controllers or Elite Controllers, show signs of a particularly efficient antiviral immune response that contains HIV replication to very low levels. We have launched an in-depth characterization of HIV-specific CD4+ T cells in Controllers, to understand how such cells could escape depletion and maintain efficient helper function. We obtained evidence for the persistence of highly differentiated Th1 effectors CD4+ T cells, in Controllers, while such cells were lost in patients treated in the long-term. The presence of Th1 effectors in Controlers was unexpected considering the very low levels of viral antigens available to stimulate effector responses. MHC class II tetramer binding analyses revealed that Controller CD4+ T cells expressed T cell receptors (TCRs) with a high avidity for immunodominant HIV Gag peptides, while such cells were absent from treated patients. Thus, HIV controllers harbored a pool of memory CD4+ T cells with the intrinsic ability to detect minimal amounts of viral antigens, and to receive sufficient signal to undergo effector differentiation. 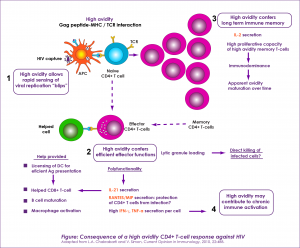 These high avidity CD4+ T cells may maintain the immune system of HIV Controllers in constant alert, and allow the triggering of a very rapid antiviral response in case of a rebound in viral replication. To analyze the molecular determinants of this sensitive antiviral response, we have analyzed the repertoire of TCRs expressed by CD4+ T cells specific for the most immunodominant epitope in HIV Gag. We obtained evidence that particular TCRs are associated with HIV control. These shared (or “public”) TCRs are preferentially expressed by Controller CD4+ T cells and show remarkably high affinity for the Gag peptide/MHC II complex. When transferred into healthy donor cells with lentivectors, these public TCRs confer a series of properties characteristic of Controller CD4+ T cell responses, including high antigen sensitivity and polyfunctionality. These findings suggest it may be beneficial to induce the amplification of such TCRs in vaccination and immunotherapeutic approaches directed at containing HIV infection. Brelot A, Chakrabarti LA, CCR5 Revisited: How Mechanisms of HIV Entry Govern AIDS Pathogenesis, J. Mol. Biol. 2018 Aug;430(17):2557-2589. Galperin M, Farenc C, Mukhopadhyay M, Jayasinghe D, Decroos A, Benati D, Tan LL, Ciacchi L, Reid HH, Rossjohn J, Chakrabarti LA, Gras S, CD4 T cell-mediated HLA class II cross-restriction in HIV controllers, Sci Immunol 2018 06;3(24). 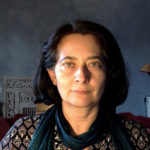 Claireaux M, Galperin M, Benati D, Nouël A, Mukhopadhyay M, Klingler J, de Truchis P, Zucman D, Hendou S, Boufassa F, Moog C, Lambotte O, Chakrabarti LA, A High Frequency of HIV-Specific Circulating Follicular Helper T Cells Is Associated with Preserved Memory B Cell Responses in HIV Controllers, MBio 2018 May;9(3). Mukhopadhyay M, Galperin M, Patgaonkar M, Vasan S, Ho DD, Nouël A, Claireaux M, Benati D, Lambotte O, Huang Y, Chakrabarti LA, DNA Vaccination by Electroporation Amplifies Broadly Cross-Restricted Public TCR Clonotypes Shared with HIV Controllers, J. Immunol. 2017 Nov;199(10):3437-3452. Lissina A, Chakrabarti LA, Takiguchi M, Appay V, TCR clonotypes: molecular determinants of T-cell efficacy against HIV, Curr Opin Virol 2016 Feb;16:77-85. Chakrabarti LA, Lortholary O, [IRIS: a paradoxical inflammatory reaction in patients treated simultaneously for tuberculosis and HIV], Med Sci (Paris) 2015 Jan;31(1):53-9. Chakrabarti LA, Boucherie C, Bugault F, Cumont MC, Roussillon C, Breton G, Patey O, Chêne G, Richert L, Lortholary O, , Biomarkers of CD4+ T-cell activation as risk factors for tuberculosis-associated immune reconstitution inflammatory syndrome, AIDS 2014 Jul;28(11):1593-602. Granier C, Battivelli E, Lécuroux C, Venet A, Lambotte O, Schmitt-Boulanger M, Delaugerre C, Molina JM, Chakrabarti LA, Clavel F, Hance AJ, Pressure from TRIM5α contributes to control of HIV-1 replication by individuals expressing protective HLA-B alleles, J. Virol. 2013 Sep;87(18):10368-80. Bugault F, Benati D, Mouthon L, Landires I, Rohrlich P, Pestre V, Thèze J, Lortholary O, Chakrabarti LA, Altered responses to homeostatic cytokines in patients with idiopathic CD4 lymphocytopenia, PLoS ONE 2013;8(1):e55570.